Kimchi is a Korean fermented vegetable dish. 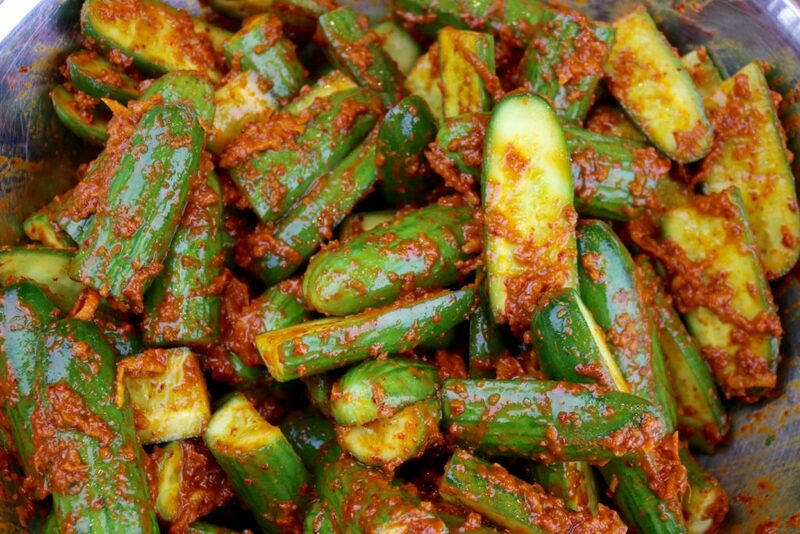 Literally translated as “soaked vegetables”, it is made by salting or brining vegetables and leaving them to ferment in an aromatic, spicy paste (typically based on the delicious gochugaru pepper). Kimchi is so popular, that it is considered the national dish of Korea. In North America, we are most familiar with the napa cabbage version (tongbaechu-kimchi), but there are reportedly over 200 variations (I usually have at least 3 types of kimchi in my fridge at all times!) I recently learned about cucumber kimchi (oi sobagi) and gave it a try. 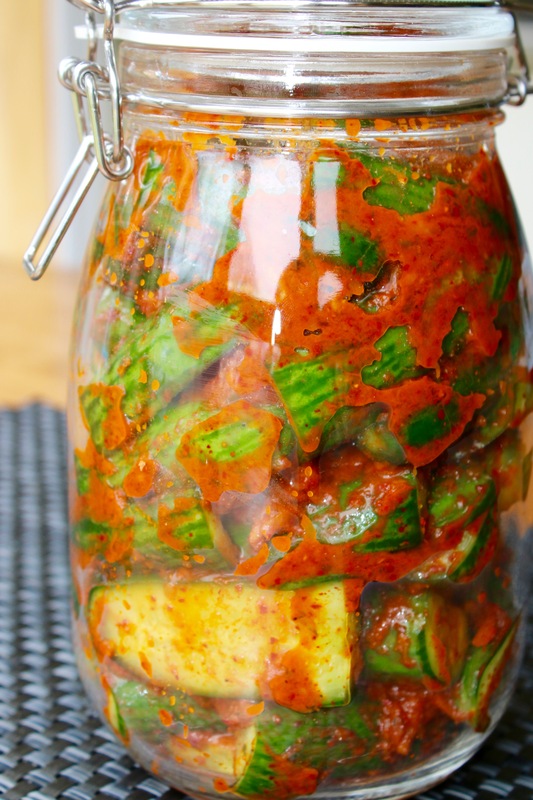 It has lots of crunch, and the coolness of the cucumber nicely compliments the complex flavours and heat of the kimchi paste. This recipe uses the same paste as napa cabbage kimchi. (I always make a small batch of other vegetable kimchis if I have some leftover paste.) 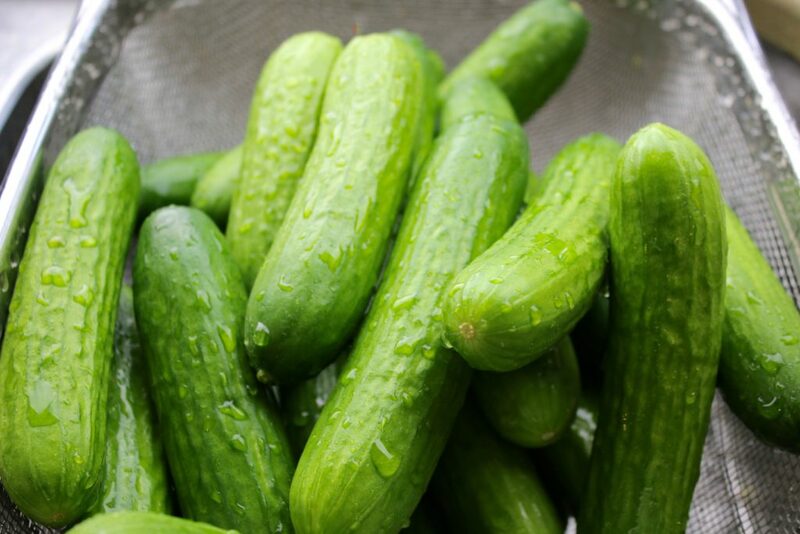 The traditional version is made by quartering the cucumbers nearly to the base and stuffing them with the paste. I decided just to slice them in half and mix with leftover kimchi paste. 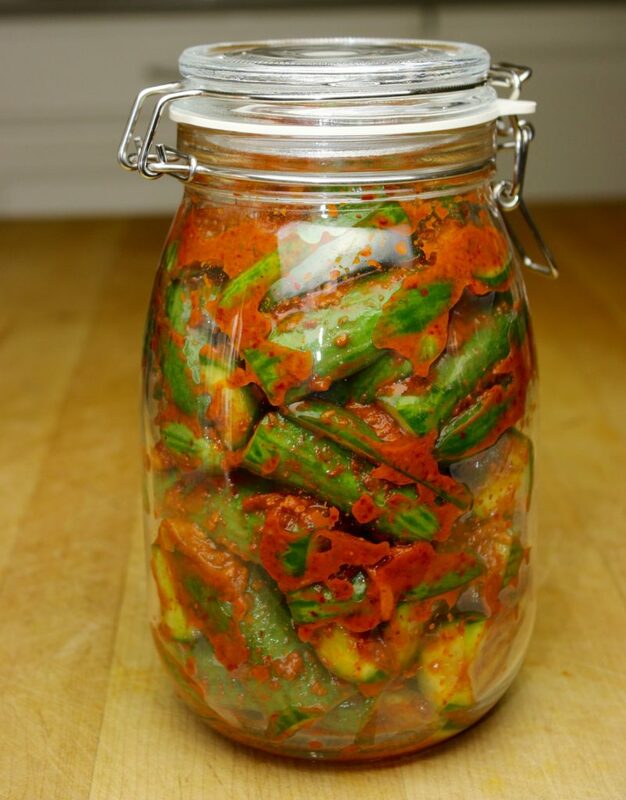 As with other types of kimchi, this is a quick ferment (2-3 days). 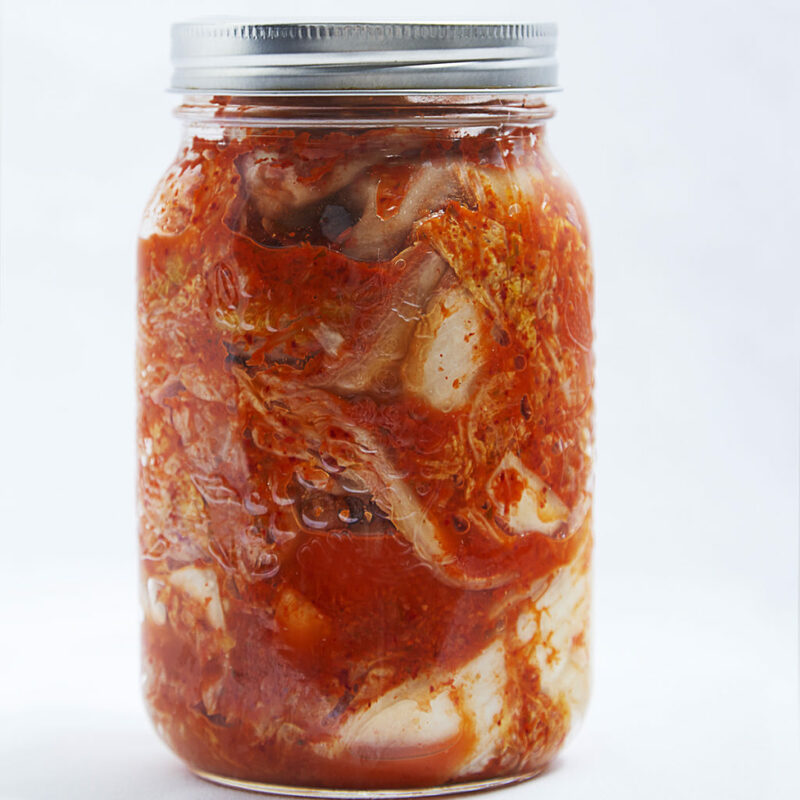 If you have some leftover paste the next time you make napa cabbage kimchi, I encourage you to give oi-sobagi a try! It makes a great snack on its own and is also great with rice dishes. 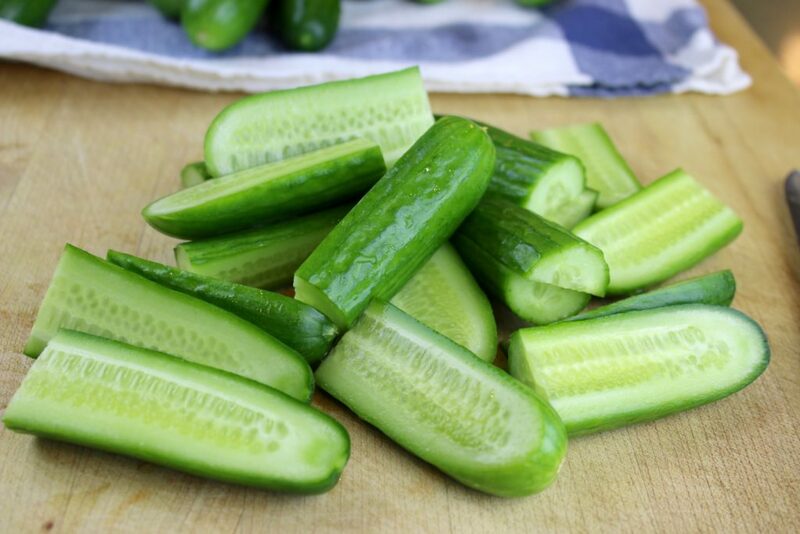 Wash cucumbers and slice in half. 2. Gently mix in salt. Let sit for 30 minutes. 3. 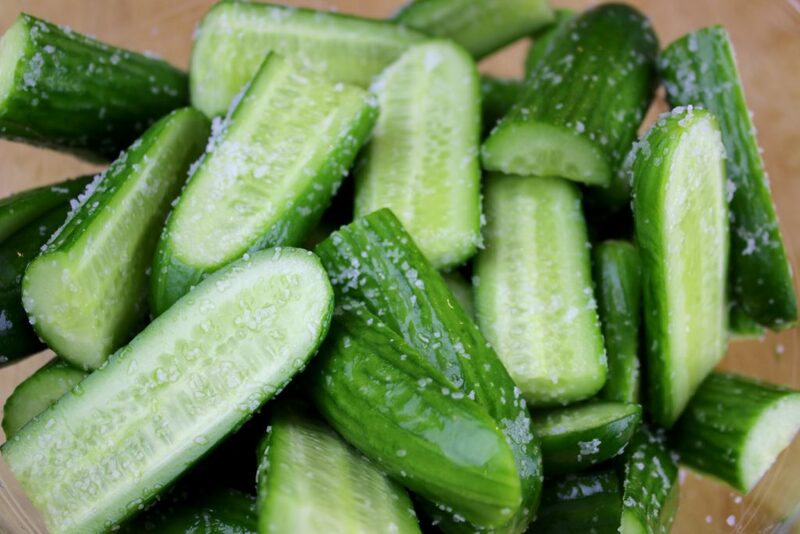 Rinse salt from cucumbers well. Pat dry. 4. Mix in kimchi paste. Gently pack cucumbers in jars. 5. Lid jars. 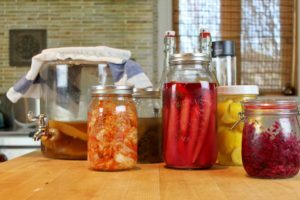 Let ferment at room temperature for 2-3 days. 6. Transfer to refrigerator after fermentation. Enjoy!